Renovating your home can be expensive once you add up the high material prices and contractor fees. 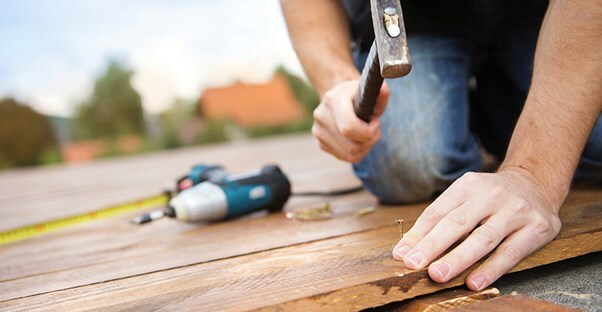 When renovating your outdoor space you can avoid these costs by performing small renovations on your own. Backyard renovations don’t need to be big to bring new life to your space. Here is a look at some affordable renovations to revamp your outdoor living space. For single-story homes, painting the back wall of your home can create an entirely new feel for your backyard. This color can become an easy compliment for a garden in the yard. If you don’t have bright flowers or colors in your yard, you can use neutral colors like light-gray or beige to coordinate your wall with stone paths or a wooden fence. This renovation is easy to do on your own and will cost only the price for a couple of gallons of paint, which can run anywhere from $30 to $60 per gallon. If you have uncovered soil or flowerbeds, this can make a yard look unfinished. Covering the exposed soil with mulch is an easy change for your outdoor space. Not only is spreading the mulch a fairly easy task, but mulch also costs as little as $3 to $6 per bag. This cost can bring the total cost for one average-sized yard up to only around $36. Sometimes all your outdoor space needs is a little bit of a facelift. Instead of drastically changing the layout of your space you can purchase small cosmetic improvements instead. An example of this is a trellis, a wooden scaffolding for vines and similar flowering plants to grow on. These small additions can cost as little as $37 and create a visual focal point for your yard. Concrete can be an eyesore in any yard. However, it is easy to change your concrete to be a visual addition rather than a drawback. You can add a layer of slate tiles to the concrete for as much as $5 per tile or even use masonry stain. Masonry stain can make your concrete any color of your choice for a similar price as paint, and the color can easily be tied into the rest of your outdoor furniture. Professional landscapers use defined zones in a yard to give a planned and professional look to their work. You can apply the same concept to your yard yourself. By laying out the decorations and furniture you already have into zones in your yard you can give the space a planned look that brings new life into the area. For instance, if you have a grill and/or fire pit then set that off into an area more dedicated to cooking or entertaining. Keep yard toys in a separate play area and the whole outdoor space will instantly have a more clean and organized feel.